Giving girls and young women role models in STEM, and opening their eyes to a world of opportunity! Tired of seeing the same careers foisted upon women in TV, movies, and magazines? Chemical engineer Stephanie Espy, a graduate of MIT, UC Berkeley and Emory University, tells the stories of 44 inspiring women in STEM to show girls and young women around the world a new set of women heroes to look up to. The statistics for women in Science, Technology, Engineering and Mathematics (STEM) careers are just plain sad. Last year, less than 20% of college graduates in engineering and computer science were women. While stereotypes pervade about women in these fields, the truth is that most girls have never even heard of these careers and are not aware of the wide range of options that exist. What girls and young women can expect in a promising STEM career, and much, much more! 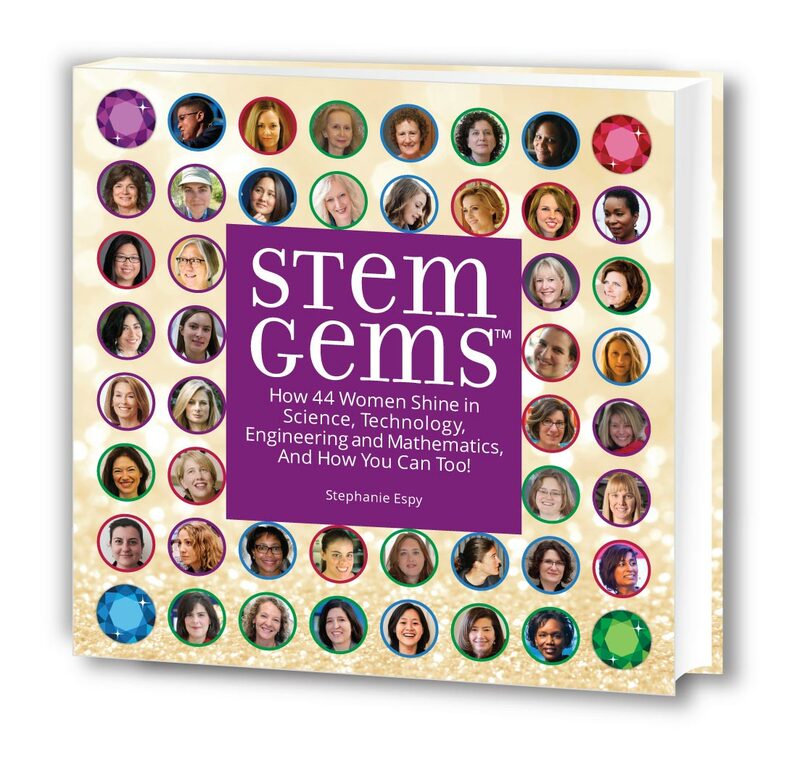 The STEM Gems book is relatable, encouraging and inspiring, demonstrating the limitless possibilities for the next generation of women. STEM isn’t a special brain. STEM doesn’t come from a life of privilege. STEM is simply an exposure to what is possible and an internal belief that anyone can be a STEM Gem. Join the STEM Gems Movement and help create a better future with more possibilities for OUR girls!